Found this lovely audio piece (and video) while researching into memory and sound. It’s mentioned in The Memory of Sound: Preserving the Sonic Past By Seán Street. Mike Ladd (born 1959) is an Australian poet and radio presenter. Arduino audio tests using the Mozzi library, a Nano board, a light dependent resistor and a potentiometer (volume control). A more robust prototype, testing out both square and rounded edges. 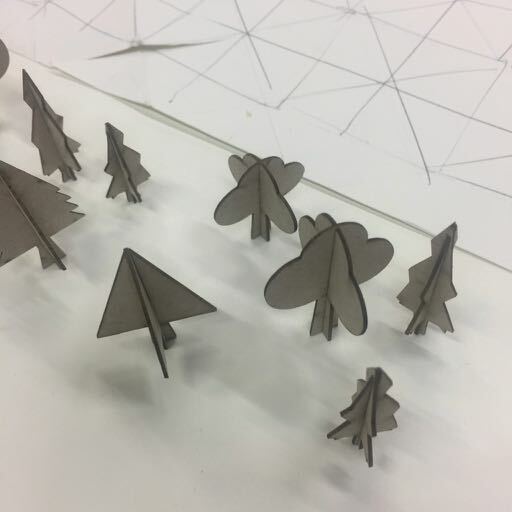 Some laser cut (recycled) cardboard trees for the Accomplices game. A test video of an avatar created using the CrazyTalk app, originally intended for the pitch video for the Accomplice game. The face was ‘mirrored’ (the left side repeated for each side of the face) to add to the unreality of the talking head.